Being a pro gamer is all about having that extra edge above your competition. Many products claim to have an impact and end up having absolutely no impact on your game. However, there are a few peripherals that will actually make a difference on how well you play. Low input lag with a good gaming monitor, in my opinion, is one of the most important. Higher resolutions and a better picture may be great for eye candy, but do very little to impact your gameplay. In this article, I discuss several great low-input-lag monitors that are at the top of their game for responsiveness. These include budget options, FreeSync and G-Sync monitors, as well as monitors with IPS panels. Want to be competitive in a twitch sensitive genre? Here are a few monitors we recommend for FPS, RTS, and fighting style PC and console games. I'm not going to put this list into any rigorous order as different monitors are better for different budgets and genres. However, all of these monitors have Input lags that are competition-worthy. I wouldn't necessarily pick the monitor with the lowest input lag. 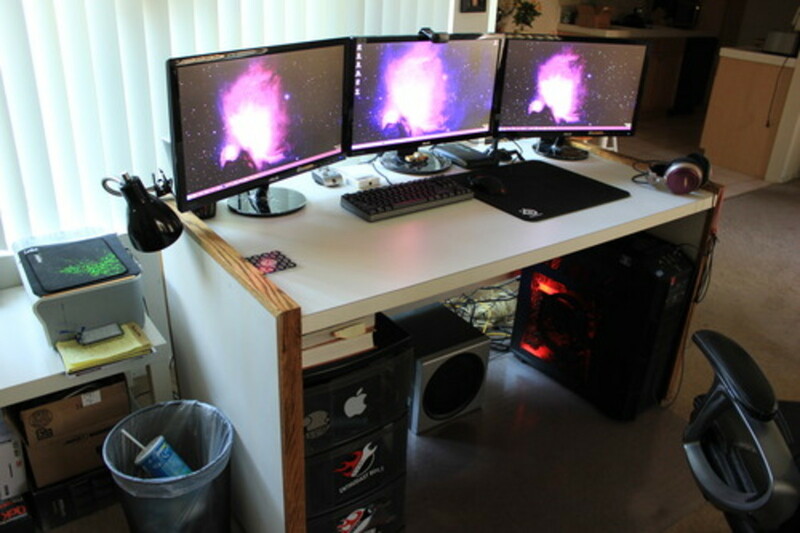 Rather go with the monitor here that you like the best. Also, this list isn't meant to be an all-inclusive G-Sync or FreeSync List. Go to my post on G-Sync monitors for a look at that. When I first saw the Asus VG248QE 144Hz monitor I knew it was what I'd been waiting for. It had the old CRT-like feel without all the CRT drawbacks. For around $250 you get a 144 Hz refresh rate, 0.7ms input lag, and 1ms GTG response time. These stats make this monitor irresistible to most FPS, RTS, and twitch-style gamers. If you're not looking for an IPS panel, FreeSync, or an integrated G-Sync monitor, then this is probably the one to own. It's a little pricey for a 24" LED screen, but not compared to similar 144hz monitors. It can be adapted for both 3D and G-Sync. The transmitter that you need to use this monitor for 3D is not included in the package, which keeps the price down. You can also upgrade it to NVIDIA's G-Sync technology (which synchronizes refresh rate with the output of your video card) using the kit on NVIDIA's website. That being said, I'd highly recommend you don't do this. If you want a G-Sync monitor, simply buy one that already has it incorporated into the monitor. How much is your monitor budget? Whether you're looking for a cheap 144hz gaming monitor or want a FreeSync option, there's a lot of value in the Acer XF240H. While FreeSync is only available to those who have an AMD GPU, the monitor itself is amazing as a stand-alone 144Hz option. At just under $200 it's cheaper than Asus' aging option above and likewise has height, pivot, swivel, and tilt adjustment. While it's certainly not cheap, the Asus ROG SWIFT IPS PG279QZ combines super-low input lag, a high refresh rate (144 Hz), and G-Sync compatibility to give gamers, with extra money to spend, a powerhouse option. This monitor is similar to the PG279Q but you're more likely to find a good panel with the newer option. So, go with the new model if it's in stock. Its 1440-pixel panel is one of the best IPS options I've seen, with crisp detail and a good level of brightness. The PG278Q from last year used a TN panel while the new PG279Q uses an IPS panel (WQHD). The PG279Q has big upgrades when compared to the PG279Q including an IPS panel. Though last year's model is around $300 cheaper. In terms of G-Sync monitors the Asus PG79Q is my favorite this year with the Acer XB271HU coming in at a close second. I found the PG279Q to just have slightly better quality for the panel. That being said the Acer XB271HU’s stand is much improved vs last year's version and doesn't lose by much. Overall, if you're willing to pay up to have the best, this is what you want. The BenQ EL2870U is one of my favorite options right now for gaming. Not only does it have 4k HDR and a 1ms response time, but it also has AMD FreeSync technology. There are also other cool features like Brightness Intelligence Plus which allows the monitor to automatically adjust the brightness and color temperature. In terms of lag, 4k isn't always the best way to go. So, remember that. That being said, this monitor averages around 10ms. This monitor isn't flawless and this is a TN panel. It's also a couple of years old at this point. 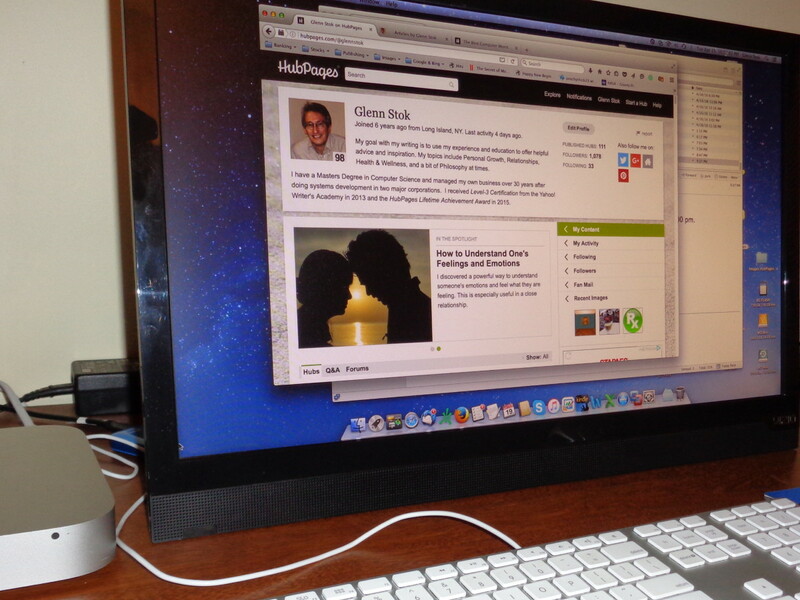 So, viewing angles are not wide but it is responsive and bright when placed in front of you. Ultimately, you're getting great value for the price in a large 4k HDR monitor with FreeSync. I'd recommend it for all types of games. 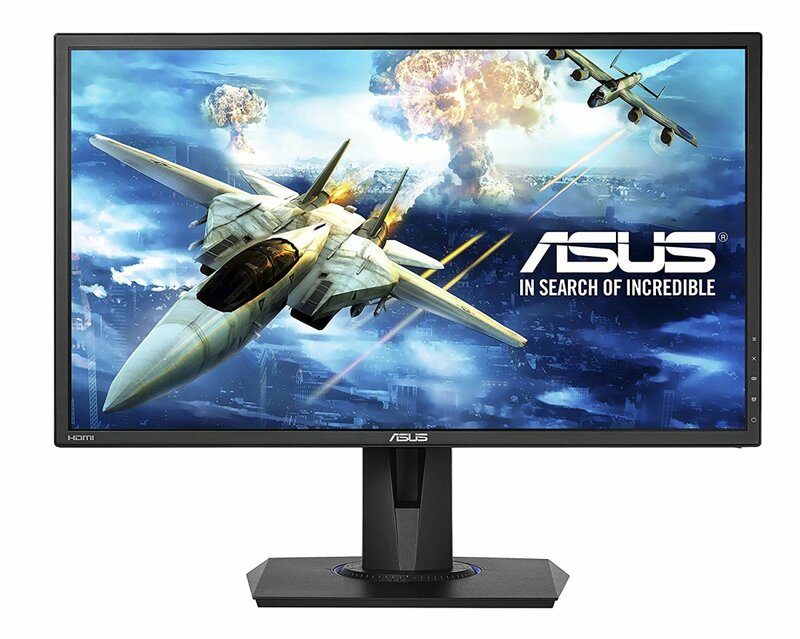 Whether you're looking for a low input lag console gaming monitor or simply want a PC gaming monitor with FreeSync, the Asus VG245H is a fantastic value. It has virtually no input lag and comes with a ton of features gamers will love. For PC gamers, it's nice that this monitor goes above 75Hz and supports FreeSync. This adaptive sync technology does a lot of what G-Sync does without the G-Sync cost. Keep in mind, it'll only work with an AMD graphics card. 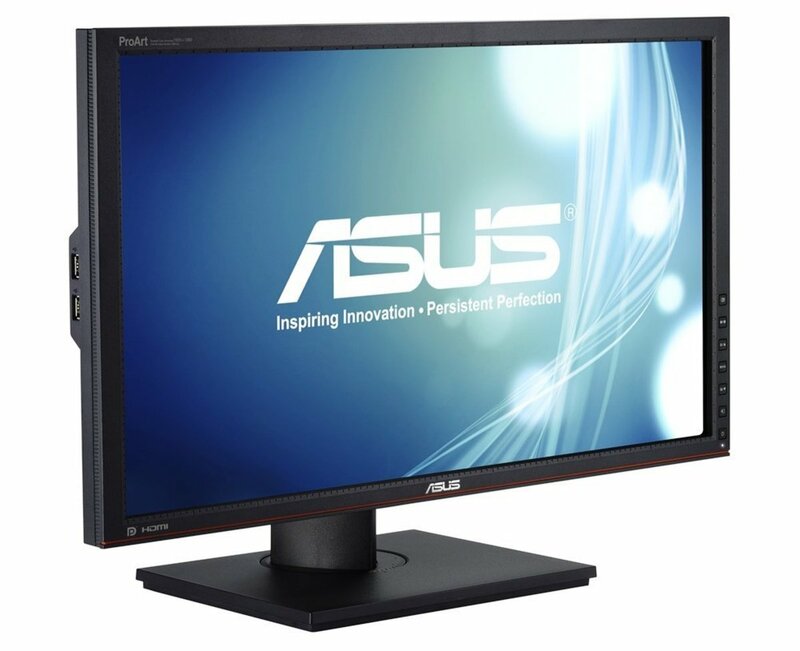 For console gamers looking for a good monitor, the Asus VG245H is a fantastic option. It has deep blacks, Asus eye care technology to minimize your eye fatigue, and Dual HDMI connectivity so you can have your console and another device on at the same time. The GamePlus hotkey is useful for all types of gamers. It's a hotkey you can use to give you in-game enhancements. Overall budget-minded gamers should definitely be looking at this monitor. For PC gamers looking for a cheap FreeSync option, it's a no-brainer. Console gamers can definitely find something cheaper that will work; however, not with as many options. Have an AMD card and don't want to pay for the G-Sync price? I highly recommend you go with a monitor I was recently able to test out. 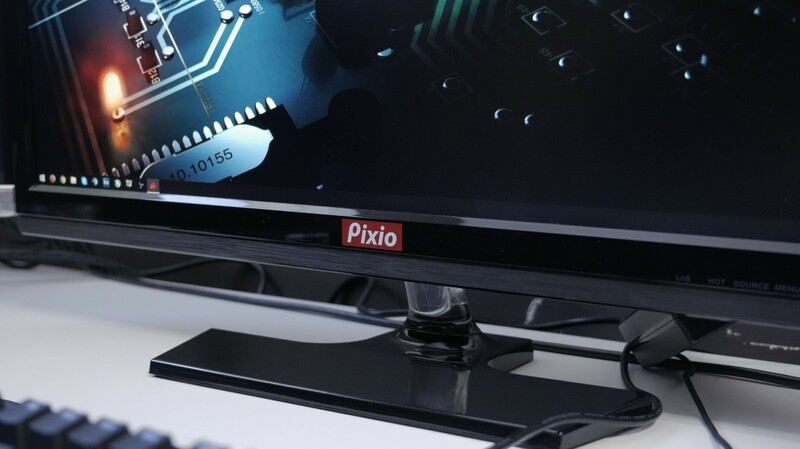 The Pixio PX277 uses the same panel as the much more expensive Asus PG279Q and Acer XB271HU and costs hundreds of dollars less. I was able to test it for frame skipping, ghosting, and pixel response and this monitor was simply fantastic. For those worried about the FreeSync Range of 55Hz to 144Hz this monitor has low framerate compensation. Overall, it's a good value for a FreeSync IPS monitor and for its panel and one I'd certainly recommend. Don't want to spend a fortune? The Asus VE247H is a good looking TN panel that has the responsiveness that you're looking for. The ASUS VE247H is another really good TN panel option, one of the better budget gaming monitors available. It's the modern version of the old ASUS VH236H used in the EVO tournament, with the same panel, a good input lag of 11ms, in a better overall monitor. It looks nicer than the VH236H, is more power-efficient, and has just about the same price at about $130 a piece. Input lag is a measurement of the delay between the time you enter a command on your keyboard, mouse, or controller, and the time it registers on your screen. A low input lag is crucial in "twitch" (time-sensitive) video games where fractions of a second matter. Input lag is different from response time; the latter is an indicator of how fast a pixel can go from black to white and back again on a particular monitor. Monitor manufacturers tell you about their "gray-to-gray" (GTG) response times, which tend to be lower. Although response time isn't as important as input lag, response times in excess of 5ms can sometimes produce images that feel blurry or have ghosting, which can affect your gameplay. So if you have the option of lower response time, other things being equal, you'll want to take it. Is Refresh Rate Really Important for Gaming? Refresh rate numbers like 60Hz, 120Hz, and 144Hz provide an indicator of how many times per second an image is redrawn on your screen. The higher the refresh rate, the smoother your picture feels. Overall, refresh rate has a moderate impact on performance, but usually comes at a significant premium in cost. TN or twisted nematic is the most common type of LCD panel. TN panels are less expensive and offer lower response times than IPS panels, so until rather recently gaming monitors tended to be TN. 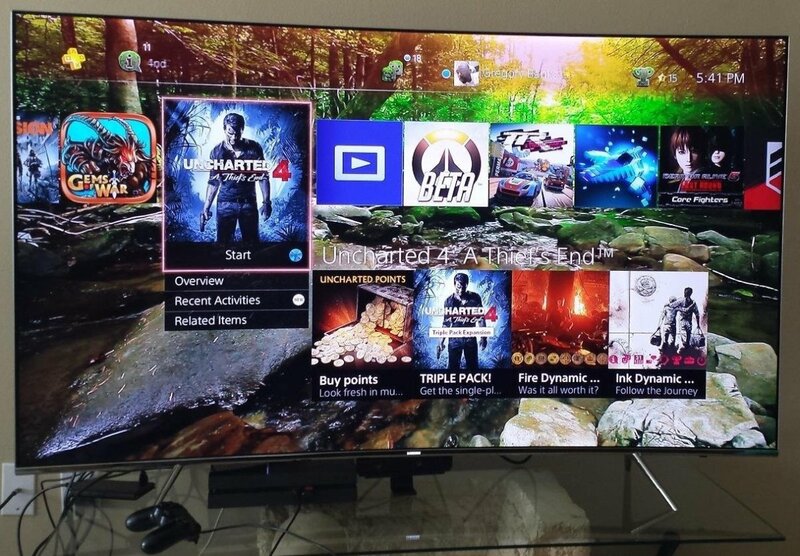 In today's market, most TN panels over 21 inches are considered full HD with 1920 x 1080p resolution. Most TN panels don't go beyond that; monitors that do are generally IPS panels which photo editors use for color accuracy. Some disadvantages of TN panels are that viewing angles can be distorted and color is generally limited to 18 bits. Thus, a TN panel can't accurately produce the full 16.7 million colors required for "true color." On the other hand, an IPS panel with 10 bits per RGB, or 30 bits total, has just over 1 billion colors. Even at wide viewing angles, the color on an IPS monitor is not distorted or washed out. And IPS panels are getting faster. It's ultimately up to you whether you want an IPS or TN monitor for gaming. IPS monitors reproduce color more clearly and accurately but have slower response times. If you care more about the image then about the responsiveness of your monitor, go with an IPS monitor; if you'd rather have better responsiveness, go with a TN monitor. 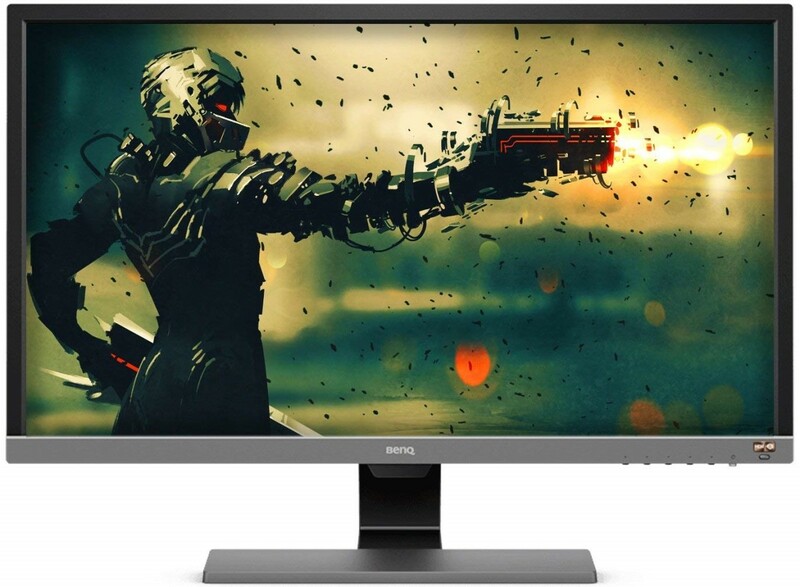 This article focuses on TN monitors, plus some IPS monitors towards the end. For a discussion of more of my favorite IPS monitors for gaming, see my companion article. Below I discuss six more great gaming monitor options from the past (Kind of like bonus footage). Also, don't forget to vote for your favorite! The BenQ RL2450HT is used in professional PC gaming tournaments put on by the MLG. 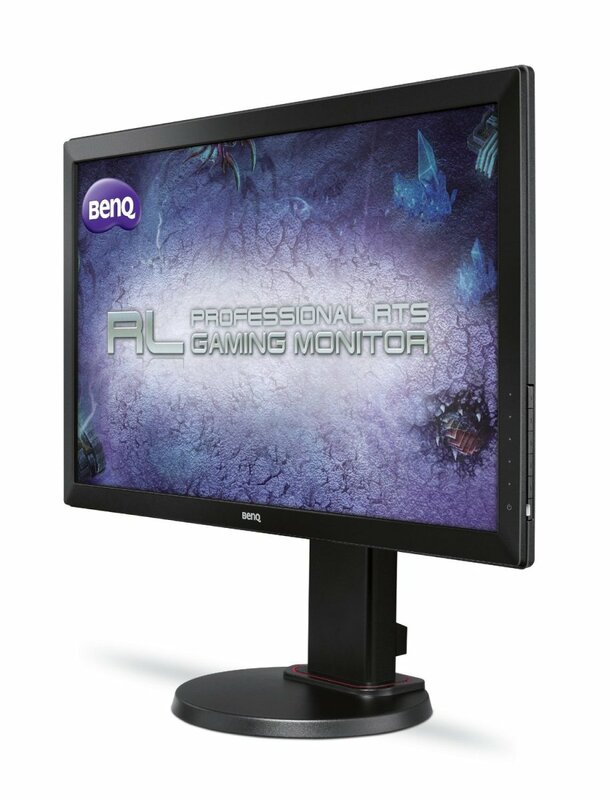 The BenQ RL2455HM, another TN monitor, is a must-have if you're trying to play at an MLG level. It's the Major League Gaming official console gaming monitor. he RL2455HM comes with integrated speakers. Unlike on the 2450, the only adjustment you can make is the degree of tilt. 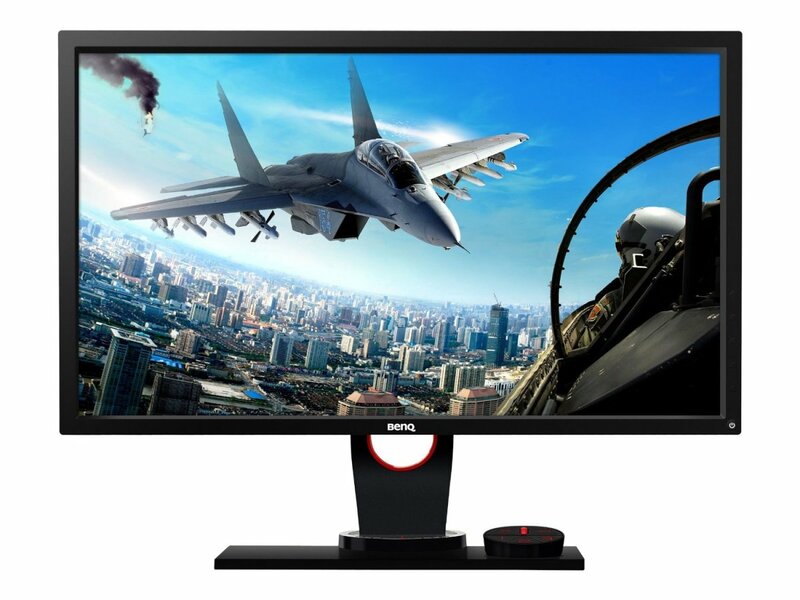 If you want to be a professional MLG PC gamer, then here's Major League Gaming's official PC monitor for this year, the BenQ RL2460HT. With a 1 ms response time and 0 input lag, it's got the speed you want and all the options you need. As it was built for games like StarCraft II, it's great for time-sensitive genres and has a lot of preset options that allow you to see better in the game. It also has gaming ergonomic features like low blue light and flicker free technology that help out your eyes over those long gaming sessions. If you're looking for an IPS monitor for color accuracy first and gaming Second consider the Dell Ultrasharp U2311H and U2412M. These are both several years old now but have maintained their desirability. They have a relatively low response time (8ms GTG) and input lag comes in for the Dell U2311H at 8.2ms and the Dell U2412M at 9.4ms. These models, from Dell's UltraSharp series, have e-IPS panels which create a good picture with wide viewing angles. Their colors are not as accurate as those of the most expensive IPS panels on the market, but they still do a good job overall. If you are willing to spend a bit more money, definitely consider the ASUS PA238Q, which has a 2.2ms input lag and a 6ms gray-to-gray response time. Overall it's my favorite of the 23- to 24-inch IPS monitors available for gaming right now, even though it costs $75 to $100 more than the UltraSharp options above. If you're looking for an alternative to the Pixio PX277 I mentioned above, take a look at BenQ's XL2730Z which also comes with FreeSync for under $500. The monitor itself looks fantastic with a fairly thin bezel, solid stand with red accents, and vibrant colors. For input lag it comes with virtually no lag and the response time comes in at a cool 1ms. Tools exclusive to BenQ like their Black Equalizer help you to quickly see clearly in the dark. You'll have to determine whether that's something you'll allow yourself to use. For me personally, it makes a huge difference. Overall, it's a good option in the $500 price range and one you should be looking at. When monitor technology changed from CRT to LCD some eight to ten years ago, many gamers held on to their heavy old CRTs, even though the pictures looked so much better on the newer models. They did that because their old monitors had little or no input lag and a higher refresh rate. Since that time many LCD monitors have been put on the market, including LCD monitors with under one frame or 16.7 ms of input lag. Early LCD gaming monitors had a refresh rate of about 60Hz, which although relatively low was adequate to offset most of the benefits of the old CRTs. Monitors like the ASUS VH236H gained popularity in professional tournaments like EVO early on because of their low input lag. Input lag on the VH236H was virtually unnoticeable, at about a half a frame or 8.3ms. Ultimately, input lag, should be one of the determining factors you use when buying a gaming monitor as it gives real-world results. All of the monitors in the list above receive a passing grade on that front. As manufacturers continue to see the purchasing power of gamers we'll continue to see better monitors more geared towards gaming. What monitor do you have your eye on this year? Is there a monitor that should have been on this list? Speak your mind below! Has much changed over the years, is the asus vg248qe still the lowest input lag monitor that is 144hz ? Nope. who wants a brick on their desk nowadays when there are so many good modern options? So you don't even bother adding in brands of CRT monitors for people that don't wanna blow a hole in there wallet from a LCD screen that barely manages to get zero input lag? 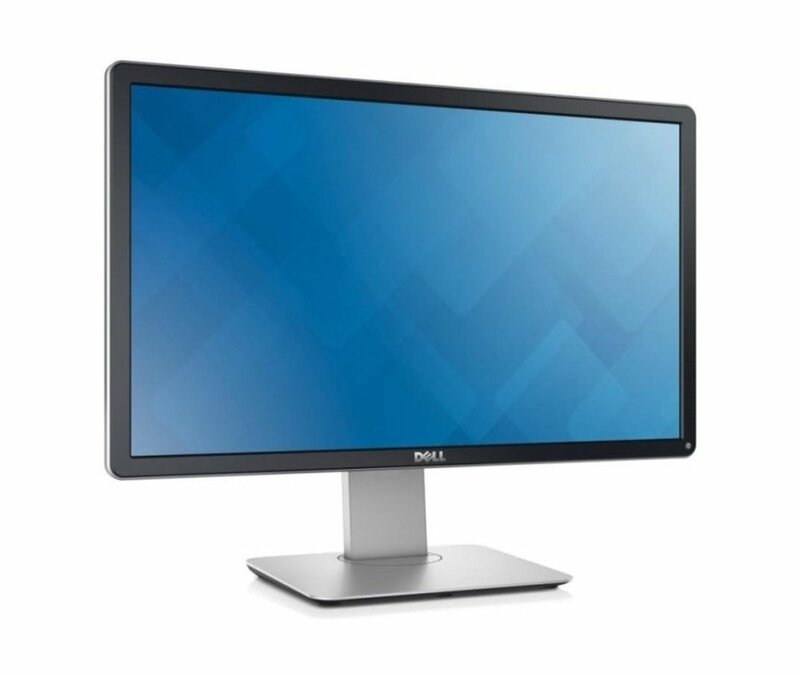 What about Dell 4K S2817Qr 28 inch TN for consoles? Under $300 Response time of 2 and input lag of 10ms. I'm looking for 1440 monitor cheaper and better specs than this. What is the input lag of the AOC i2367fh monitor? Been looking for input lag & spec comparison for 32" monitors. 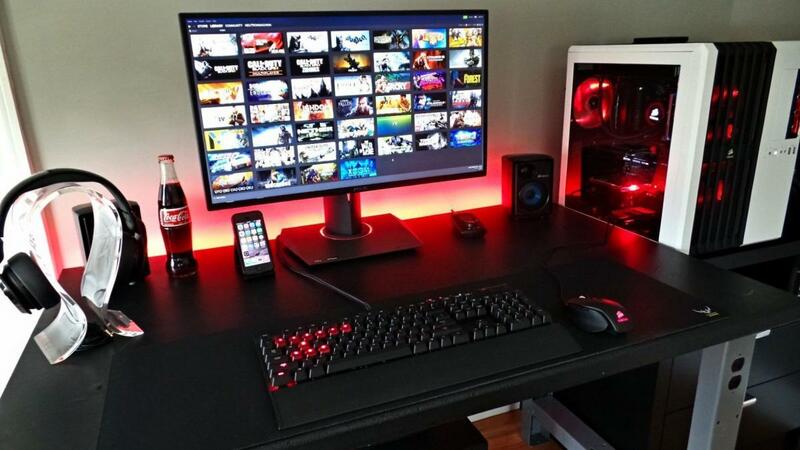 Would be nice to see one made as 32" monitors are becoming a thing for gaming now. BENQ XL2420G has better input lag then ASUS VG248QE ? so if i use the ASUS vg248qe on my ps4 do i still get the .7 input lag ?? even if its not set at 144 hz ?? Would you think the VX248H (not listed in article) would have the same input lag as the VX238H? Can't seem to find numbers on the 24, while the 23 gets rave reviews. Thanks for any input! Which monitor would be best for the XBOX360 and what's the best way to connect them, ie DVI-DL, HDMI, etc...? Would be great to see this article updated every now and then. It's a valuable source of information. 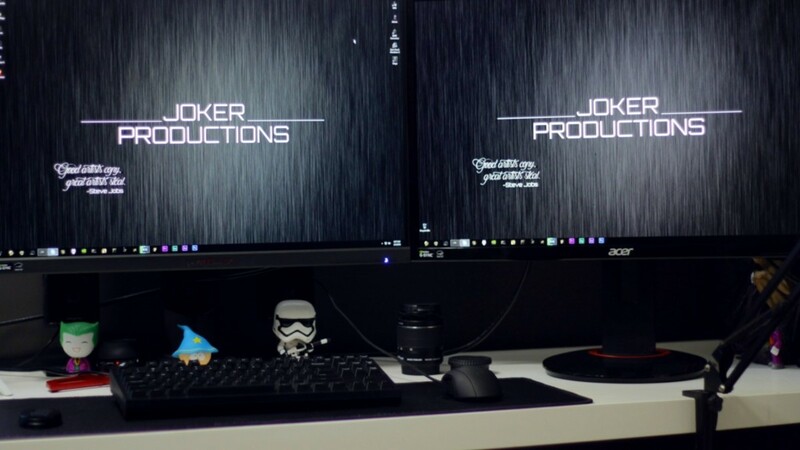 Unfortunately, they're really pretty close in a lot of ways - you may have to decide whether you want a few more features in the BenQ or perhaps a monitor with a slightly better picture from the Asus (in my opinion). I'm not sure if BenQ is going to eventually release a THE updated version of that model or not, but if they did and it was anything like the 24" update, then that might be worth waiting for. Also, what would you recommend I get for PS4? I know BenQ RL2450HT was built for pc games, but isn't better to get for console systems, since it has 4.2 input lag which is better than BenQ RL2455HM, the one made for console gaming?? hey man what is the refresh rate of BenQ RL2450HT ? Yes it should have no problem. Hey Thanks man and feedback is always appreciated. Is the asus compatable with Mac ? 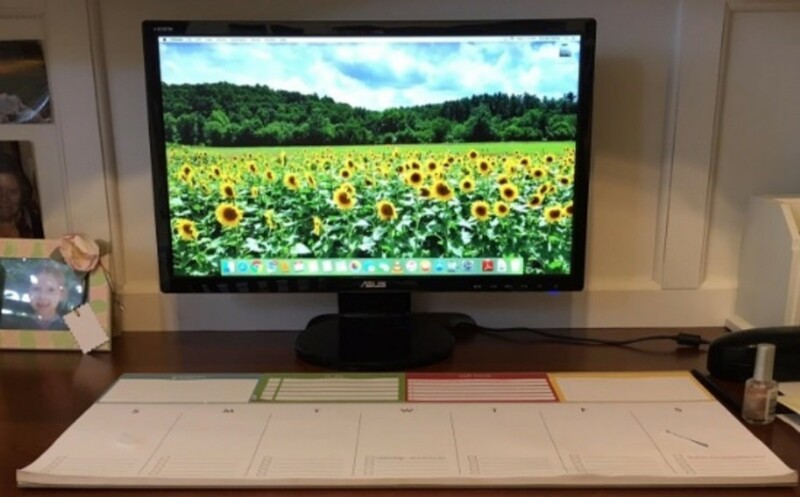 Brandon - thanks for this list - it helped me to pick out a new monitor. 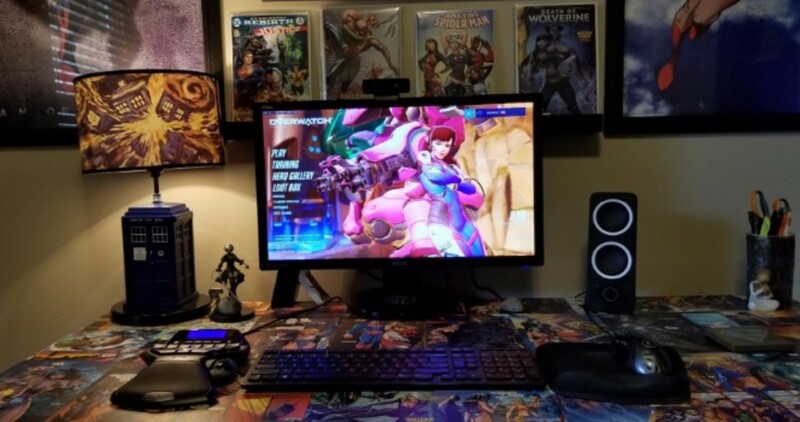 My friend as the Asus VG248QE, and he is blown away by the quality and speed. For FPS - he hasn't seen anything else like it. I just ordered a BenQ RL2450HT based on the specs and the cost ($179-amazon prime), and I should have some feedback in the next week or so. What about the AOC I2367FH AH-IPS panel for gaming?